How can I use Audio Conference for my business? Do you offer free Audio Conference? Can I Audio Conference my family or friends? Audio conferencing provides a way for businesses and other groups to interact, without having to travel to each other's offices. The savings in time and travel expenses quickly make up for the cost of audio conferencing services and equipment. Audio conferencing usually involves other types of teleconferencing technology, such as video and collaborative software. Collaborative software is software that one user may send to other users for simultaneous viewing and modification. For example, if the group wants to work on a diagram, it can be seen and drawn upon by anybody in the conference via a special electronic whiteboard. An audio conferencing system can be rented, bought from a vendor or reseller, or hired as part of a full audio conferencing solution. Such full-service packages include human support services like management, marketing, and tech support. When audio conferencing services are rented, the communication is routed through the vendor's server software. The client is charged according to the number of users or "seats" who will be participating, the length of time each seat will be participating, and any initial equipment rental or purchase costs. The vendor can charge a per-seat and per-minute fee (for example, $0.15/seat/minute). Alternatively, a client can rent the service by the week, month, or year, with a maximum allowed number of seats per conference or session. For example, a one-week service for five seats could cost $100 a week, while a one-year service for 100 people could cost a few thousand dollars. Rental audio conferencing services are best for small to medium sized businesses where the initial equipment purchase costs would far outweigh the savings on travel. When audio conferencing services are bought, the communication is routed through the client's server software, which is bought and licensed from the vendor. The client chooses how small or large a package he or she wants. For example, the client can buy software that allows for 100 seats, 1000 seats, or much more. The client can decide whether to include any of a number of high-tech add-ons such as whiteboard capabilities, and whether expandability is important. The client buys all the necessary equipment and software to run the system. The initial cost can be tens of thousands of dollars, so these are best suited to larger numbers of seats over the long term. However, tech support will always be a necessity, so the client should subscribe to the vendor's expertise. Audio Conferencing Info provides detailed information about audio conferencing services, equipment, software, companies, plus online audio conferencing, and more. 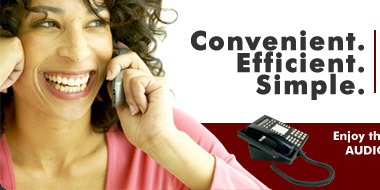 Audio Conferencing Info is affiliated with Original Content.